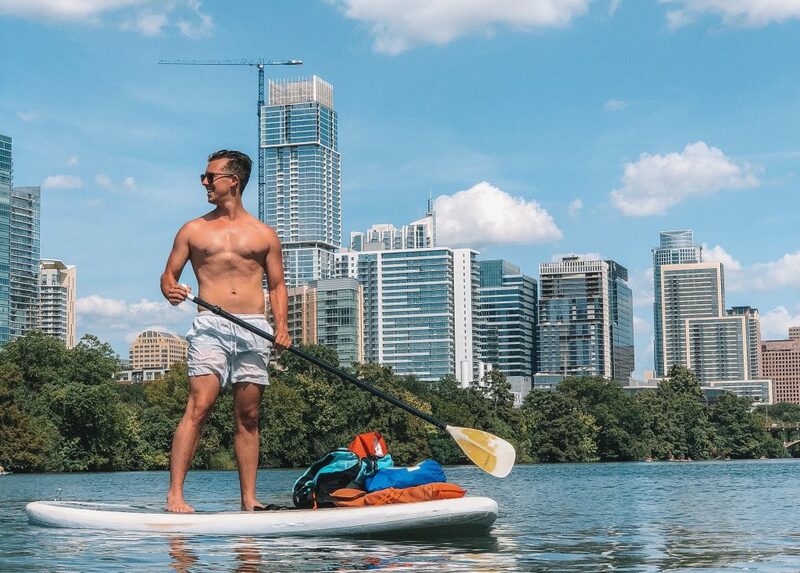 When it gets cold outside, most people put their paddleboards away. While you can actually continue using your board through the winter, the truth is that many people don’t want to. One of the things they enjoy about being on the water is the sun, and they’re just not interested when it’s not there. 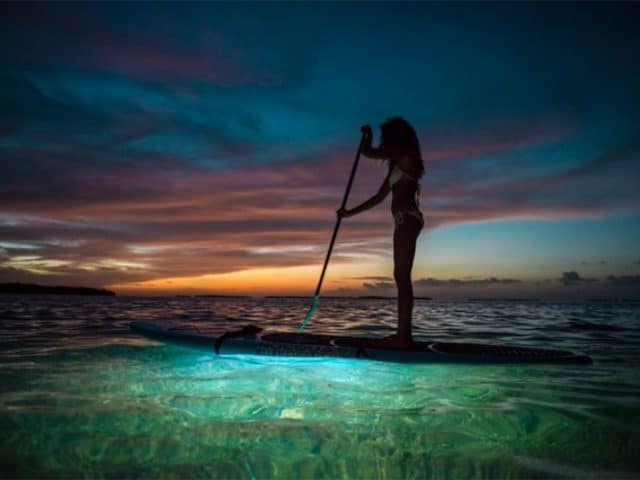 If this is you, you’ll want to make sure that you’ve stored your paddleboard well so that it’s ready for you to use when the sun comes back to your side of the planet again. 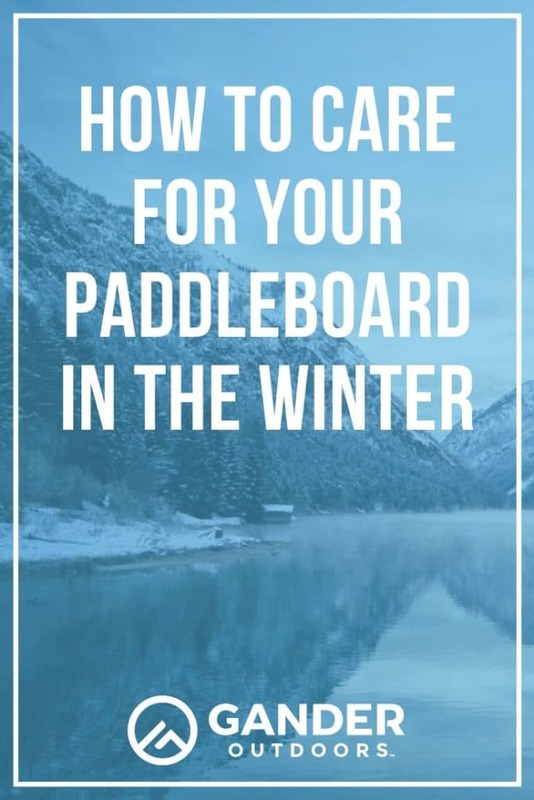 Here’s what you need to do to care for your board all winter long. Before you store your board for the winter, give it a good cleaning. Hose it down to remove all big debris and use your hands or a soft cloth to remove any mud, stains, or anything else that is marring the board. Unless your board came with a cleaner or came with instructions about what you can use on it, avoid putting chemicals on it. They can damage the outside of some boards. An exception is a cleaner combined with a protectant, discussed below. If you can’t get something off your board, try a textured sponge or just leave it on there. Most natural stains won’t hurt the board. 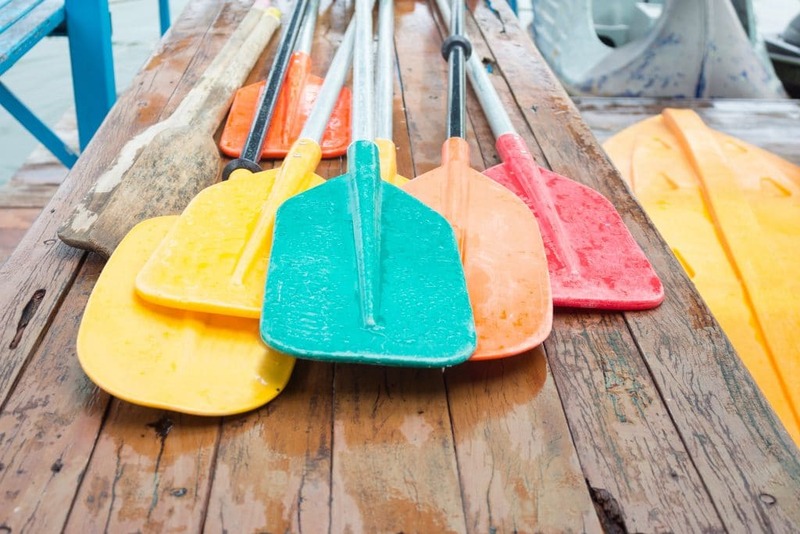 After your board is cleaned, let it dry thoroughly before you store it. 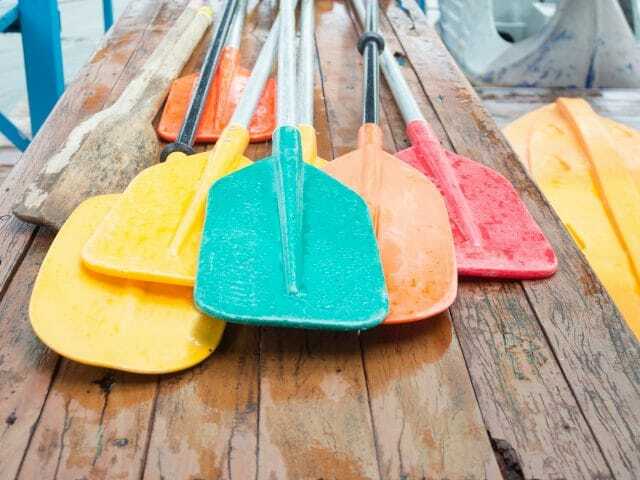 Most boards will dry fast, though the foamy part of the deck on many inflatable boards will take a little longer. If you don’t get the board completely dry, it can mold in storage, so it’s better to be safe than sorry here. 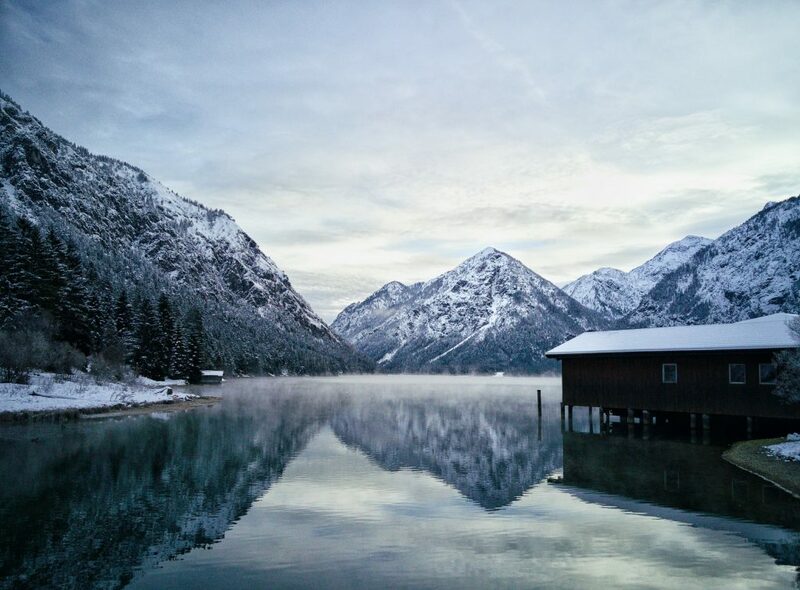 When you put your board in storage, keep in mind that you need to protect it from these things, all of which can cause damage over the winter. Moisture. Whether you have a hard board or an inflatable, moisture can damage the outside of the board. If it manages to get inside your inflatable, it can damage that, too. Sunlight. 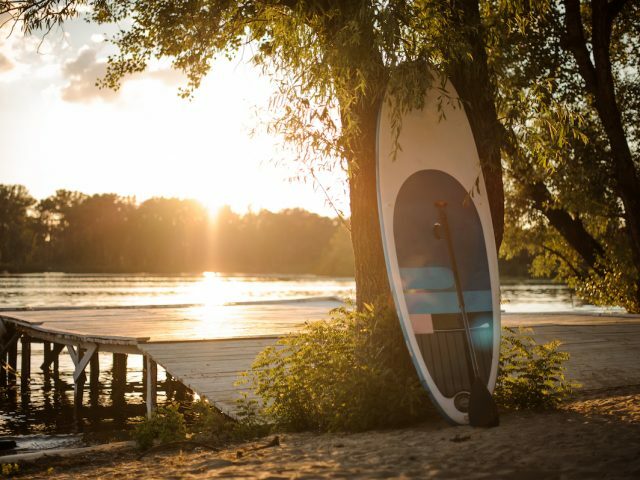 UV rays can discolor your board, but they can also damage it. They can weaken the outside layer of your board, making it weaker and more prone to cracks and splits. Heat. Extreme heat can damage any board, blistering the outside of an inflatable or causing cracks on a hard board. The core of these boards expands when it gets hot, splitting the outer layer when it can no longer contain the core. Storms. Wind can cause something to blow onto your board and damage it, and rain and snow can build up and put pressure on certain parts of your board, which also causes damage. You have a few options for protecting your board from environmental damage. If you have an inflatable, start by treating it with a chemical protectant, or protectant and cleaner combination. 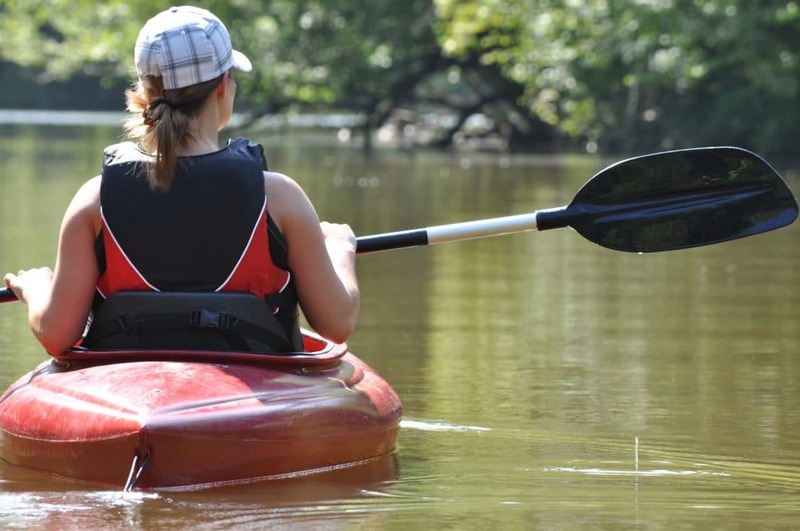 These are designed to be safe for the materials of paddleboards, kayaks, and related equipment. Be sure to follow the directions on the bottle. Some of these need to be applied then wiped off. Others require reapplication several times a year. Put your board in a bag. Some paddleboards come with storage bags, though you may want to buy one with a carrying strap for easier use. Most inflatables come with bags that can store the board folded up. No matter what type of board you have, you’re going to want to put it in the bag to help protect it during the colder months. 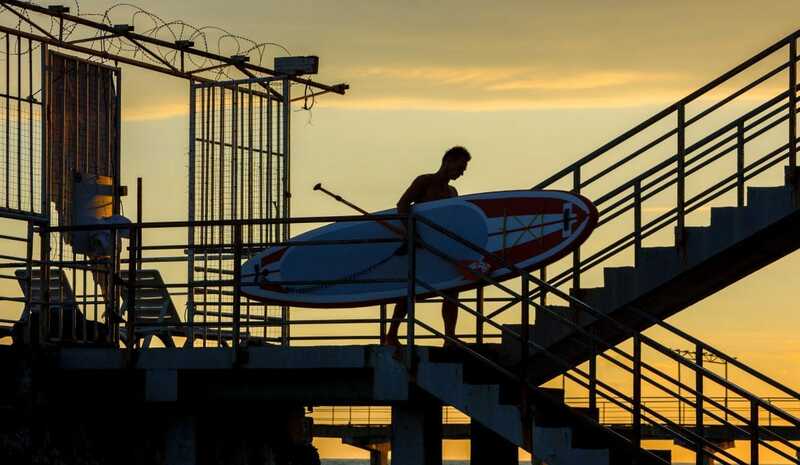 Once your board is cleaned and protected, it’s time to store it. Hard boards are more straightforward to store than inflatables, though you have more options with an inflatable board. You can choose to store your inflatable partially inflated or deflated with the valve open. Try not to compress it too much, as you can create creases in it. Most of these will disappear when you inflate it, but it’s possible to do permanent damage. If you choose not to leave some air in it, you can usually store your board loosely rolled or folded. If you do leave air in it, store it like you would a hard board. Some inflatables come with specific storage instructions, while some are made to be stored any way. If yours has instructions, follow these. If you’re not sure how to store your board, consider these ideas. Indoors vs. Outdoors. Some people store their boards outside under the eaves or even under a deck. However, this still exposes it to temperature extremes, which can cause damage. Putting your board in a garage or a shed is better than keeping it outside, and storing it somewhere insulated is best. Most people find they can rig up something in their garage, and apartment dwellers often store theirs in a closet. Mounted racks. You can get wall- or ceiling-mounted racks upon which you can store hard boards and inflated or partially-inflated paddleboards. This keeps them out of the way while still allowing them to be inside and safe. You can even make your own suspension rack with wide webbing straps. Leaning. Some people just lean their boards up against a wall all winter long. If you do this, try to lean the board on its nose or side, and rotate it a few times. That way, you won’t have pressure damage where gravity has compressed the board. You may want to secure your board in place so it doesn’t fall over and sustain damage during the long winter. Most of the time, it only takes a little thought and intentionality to store your board so it’s ready for use next summer. Clean it, protect it, and then store it wisely and you’ll be able to enjoy it for many years.